Moreno Coronica started with wines in 1992. His family has lived in the village of Koreniki long enough for it to carry the old spelling of their sur name. Today he lives in his family home with his wife children and father who still prefers to speak in Italian. 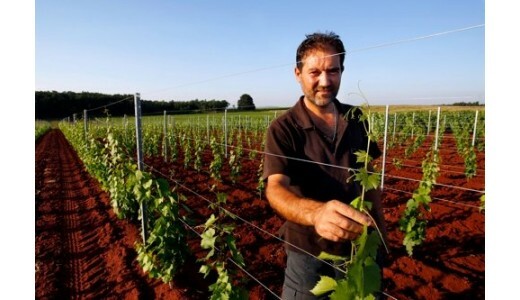 Moreno’s interpretation of Istrian terroir differs greatly from that of his contemporaries, yet more classic examples of the indigenous Malvasia Istriana and red Teran cannot be found. He is dismissive of wines that boast of flavors foreign to Istria, like tropical fruits, as for the ‘market’. To quote Moreno, “wine must taste like wine”. He professes a faith in the terroir of Istria and its indigenous varieties and strives to develop his own ability to interpret them. It is interesting than that he is also a proponent of technology in the winery. Most of all because Coronica wines don’t feel "fashioned". Under the name of Grabar there is a pure Cabernet Sauvignon “hiding” in nurtured sleek wood with a l.. The winemaker Coronica Moreno is among the first to successfully establish a culture of Malvasia age..
Gran Teran definitely changes the perception of the Teran as a grape variety. This one has enormeuos..
Intense fruitiness and clean mineral notes on the nose and on the palate reveal the sincerity with w..